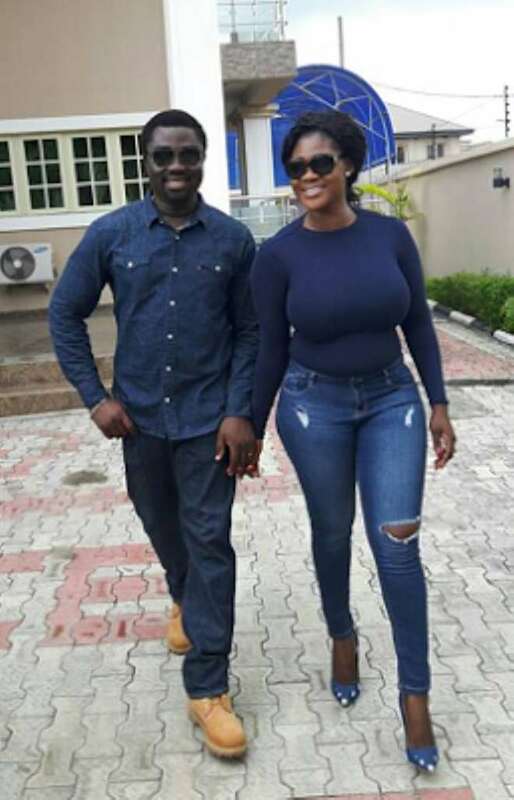 Oh my God, Nollywood actress, Mercy Johnson, has stylishly revealed what she used in charming her husband Odi Okojie. The actress, who already has three kids to her marriage with her millionaire hubby, is not slowing down at all as she has had some good workout session which has helped return her shape and killer curves. 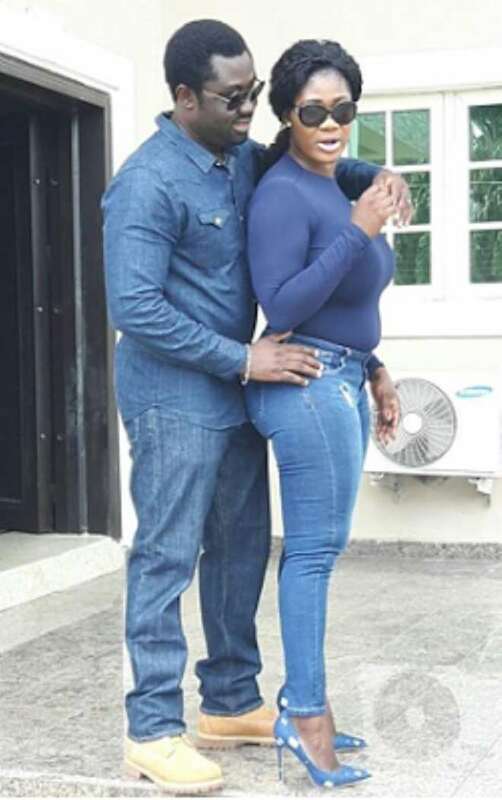 Mercy with her husband, Odi Okojie, were spotted looking dapper as they stepped out in matching outfit and the actress beauty is still intact that the husband will enjoy for many years to come without looking outside. Which man will have such a pretty and curvy wife at home and still jump outside, that is not possible?